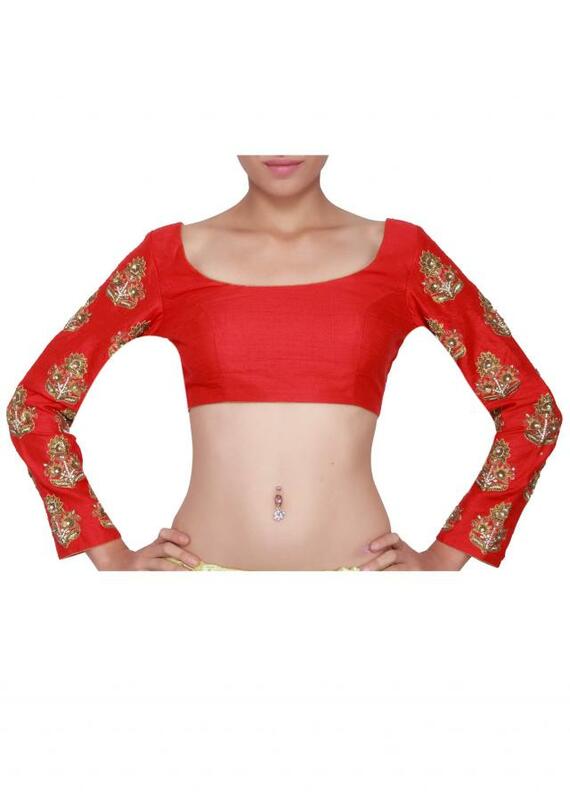 Featuring a red blouse in raw silk embellished in zardosi on sleeves. Scoop neckline and full lenght sleevees with zardosi butti. Back has a deep square neckline.